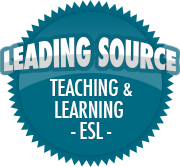 Pre-Reading Prediction Task | So, You Think You Can Teach ESL? This activity was inspired by the book Doing Task-based Teaching, and is also available online here. The class was to help students develop skills that help them to predict what will happen in a text. They were to collaborate in small groups and predict possible outcomes based on the title of a story. After more clues, they were to produce their own story based on what they thought would happen. He jumped from the 2nd floor.